LiVE is a multidisciplinary research cluster at the University of Hull that is exploring the cognitive effects of immersion, presence and flow in virtual settings and the effects of these on individual learning outcomes. 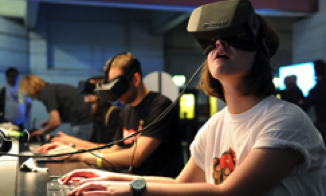 The project uses custom EEG and a range of other physiological and psychometric data collected from participants experiencing specialised virtual reality (VR). 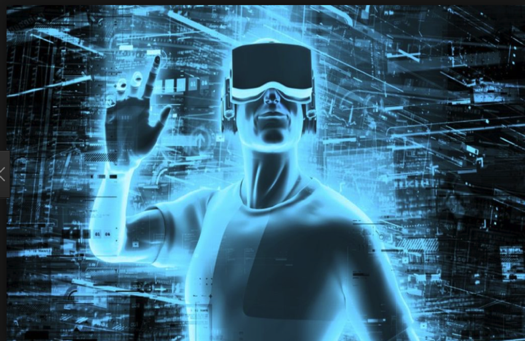 Immersive VR environments are increasingly used for therapy, training and entertainment, but integrated approaches to understanding the way different configurations of user experience affect physiological responses, cognition, perception, emotional state and their implications for learning have not been attempted. The interrelationships of these are of significant importance because they focus on key issues within the fields of technology applications in cognition and learning, neuroscience, brain imaging and medical engineering in areas that remain relatively little-understood. 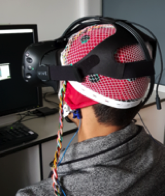 Combining the educational uses of VR, acquisition of brain signals using electroencephalography (EEG), physiological and other user data allows the research cluster to identify the different ways in which individuals respond when learning through immersion in VR environments. The project is using its collected data to map the neural correlates of perceptual experience and cognition in VR and develop new operational models of cognitive processes. These models are expected to lead to significant advances in this new multidisciplinary field and pave the way for potential applications in mainstream learning contexts and for individuals with cognitive disorders.